After witnessing an impressive opening at the box office on Holi, Akshay Kumar and Parineeti Chopra’s Kesari registered a steady growth over the weekend. The film is mainly running in the metro cities and has nearly exhausted its run outside. Despite the new Hindi releases, it maintained a solid pace. 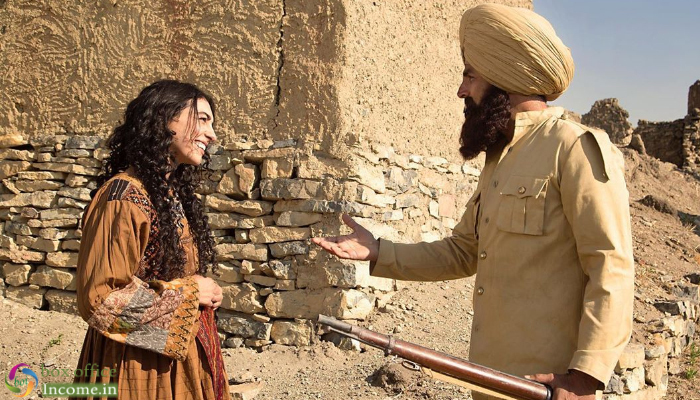 Directed by Anurag Singh, Kesari has got succeed to entertain many in theatres and received mostly positive reviews from the critics. In the first week, it remained super strong throughout and did the business of 105.86 crores which included 78.07 crores in the weekend and 27.79 crores on weekdays from 3600 screens. Then in the second week as well, Dharma Movies’ presentation showed a terrific performance and raked the business of 29.66 crores with 19.15 crores in the weekend and 7.51 crores on weekdays. After 2 weeks, the total collection of the film was recorded 135.52 crores. Now, Kesari is running in the third week and once again passed the weekend on a strong note. On 3rd Friday, it faced a drop of 20.10% than the previous day and minted the amount of 1.65 crores. On 3rd Saturday, it took a solid growth and bagged the amount of 2.62 crores. With this, its 16 days total collection has become 139.79 crores nett. Kesari is a 2019 action-war film and is an extraordinary story of 21 Sikh soldiers fighting valiantly against 10,000 Afghan troops in the year 1897. It depicts Afghan soldiers’ attempt to capture Saragarhi, a signalling post between Fort Gulistan and Fort Lockhart.